I have always disliked how the NSMBU theme in SMM doesn't have long grass, making levels look flat. That's why I decided to make this hack. Thanks to PointlessMaker, which now allows for tiles manipulation, I was able to pull it off. 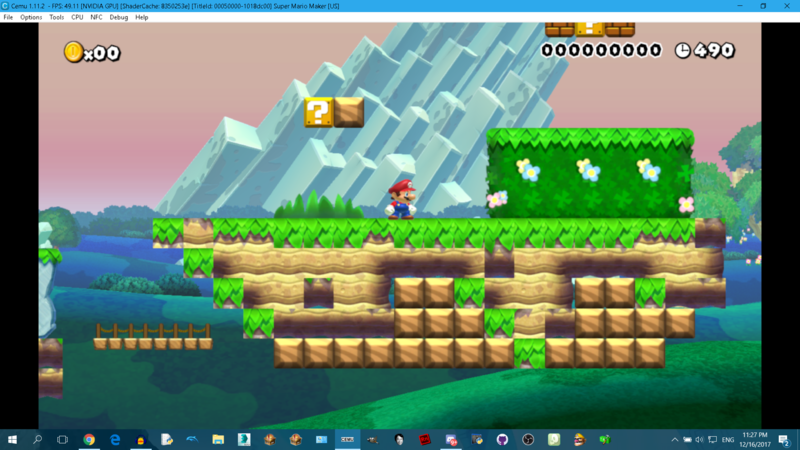 Isn't there a glitch in normal SMM that allow's for tile manipulation? Though, good job! However, I do wonder: How will this look like without using PointlessMaker? It was a glitch that was patched. 1. Ahh. So, um, if I go back to that old version, will this work on it. 2. Yeah, I'm glad PointlessMaker exists, so we don't have to deal with whatever that is. Well, no, even though the glitch lets you manipulate tiles, it doesn't let you manipulate them to an extent where you can make something like this. Ahh, ok. I suppose that if PointlessMaker works on the 3DS, this can also work on the 3DS? Or will it be broken because of the 16x16 resolution? You would just need to port the textures, just like how you port themes. I'm planning to add support for 3DS levels in PointlessMaker soon. Uh i want the "Super Mario Maker Switch"
With new themes,musics and your idea. So, this is only for pointless maker? or also for mariomaker? Can someone please send me a tileset of this? It's only for Pointless Maker. No, read the third post. Page rendered in 0.186 seconds (with 1.353 MB of RAM).